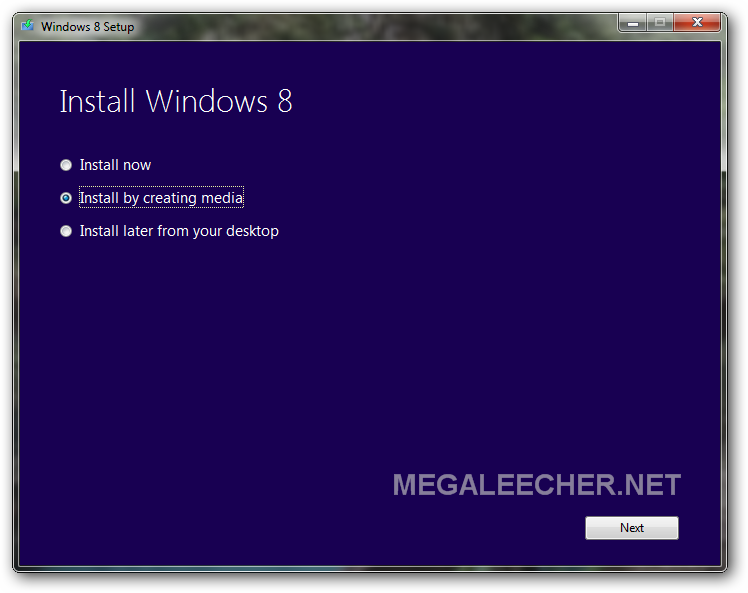 Microsoft Windows 9 was already being rumored and now a new leaked build seems to confirm the whispers. While the leaked screenshots show a Windows 8.1 Pro watermark, from past experiences we can safely assume that to be the case with very early alpha builds. The new "Hybrid Start Menu" appears to be a mix of the legacy start menu with Metro portion integrated into-it as tiles. Also, it is to be noted that this build 9788 having Windows NT kernel version 6.4 (which is the next kernel version hence Windows 9 not Windows 8.2), which was compiled on July 4 has got no ISO's available/leaked on file-sharing and torrent websites for download so the origin of the leak should be inside Microsoft. Windows 8.1 with Bing - A Free Version Of Microsoft Windows OS !!! Just few days ago, Microsoft officially confirmed Windows 8.1 Update 1 release coming this fall, an early build of this update also got leaked on the internet the same day. The update not only brings new features and fixes to the operating-system, but it seems Microsoft will also be experimenting with a free version of Windows 8.1. 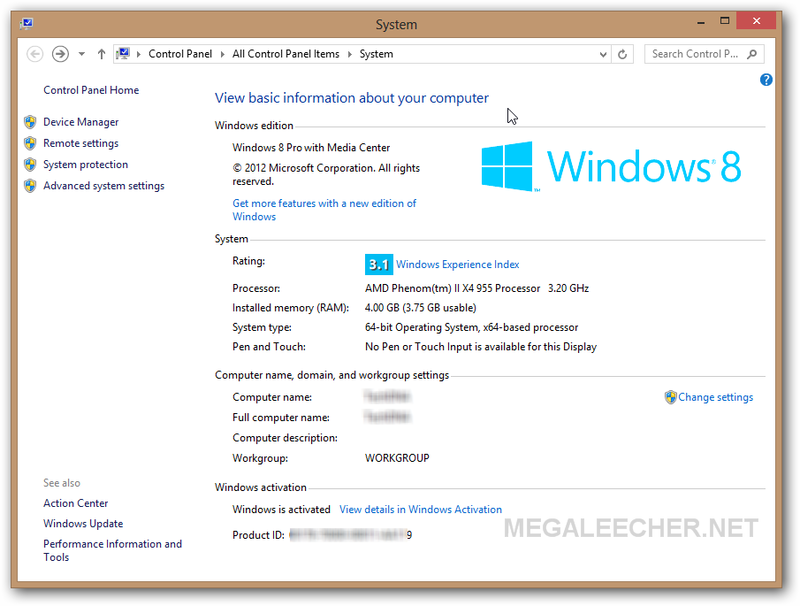 A new Windows 8.1 SKU leak named "Windows 8.1 with Bing" has put weight to these speculations, considering the success of cheap Windows 8 pricing earlier this could very well be the foothold Microsoft wants to have in Desktop and mobile computing with bundled online services as the monetization model. 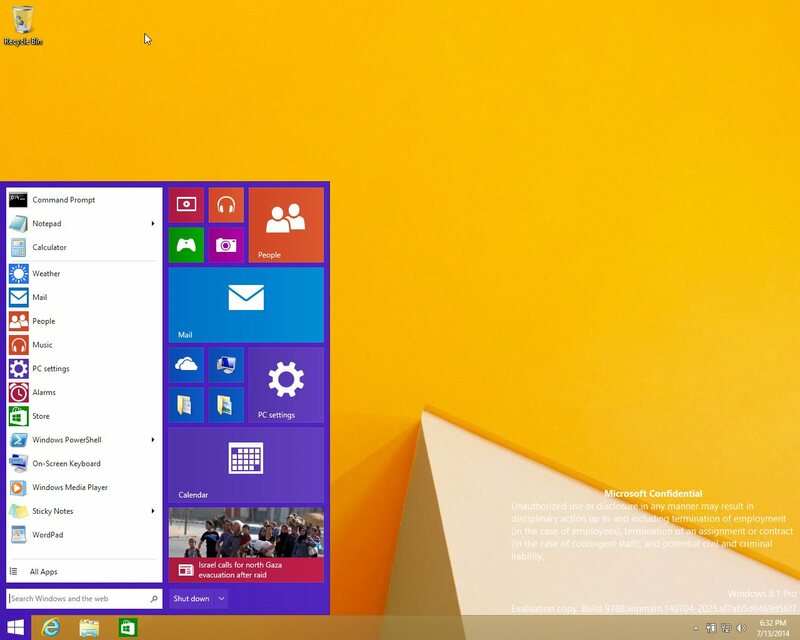 Read more about Windows 8.1 with Bing - A Free Version Of Microsoft Windows OS !!! Microsoft Windows 9 Starts Getting Whispered ! Whispers of an upcoming major update to Microsoft Windows operating-system have already started, according to industry watcher's Microsoft will be discussing the next version of Windows at coming April,2014 BUILD conference. Codenamed 'Threshold', the next version of Windows is expected to be called Microsoft Windows 9 and should be targeted with an speculated release date of April, 2015. While not much is public now, it is expected that a more mature and fixed "Metro 2" design language will be used taking the failure of Windows 8 into consideration. 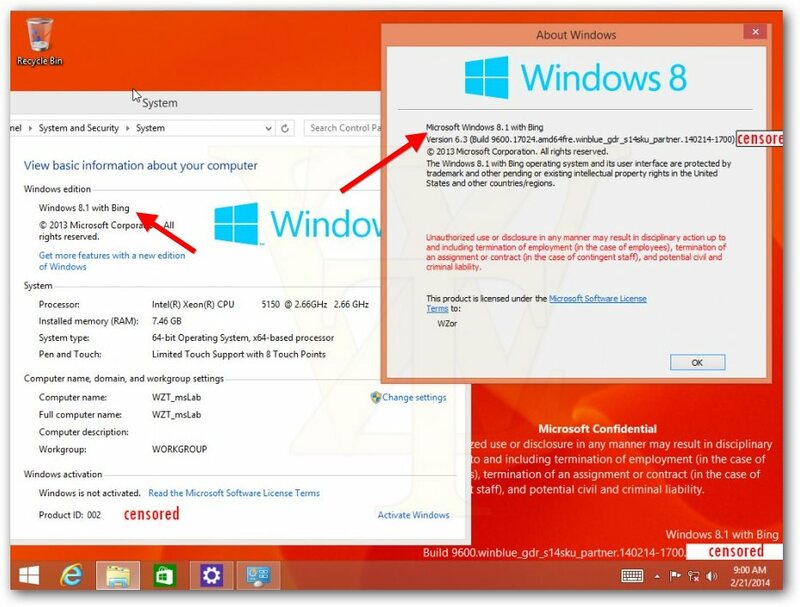 Read more about Microsoft Windows 9 Starts Getting Whispered ! 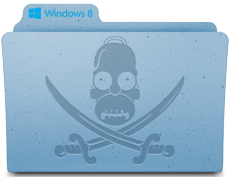 German government experts have given everybody another reason to hate Microsoft Windows 8, the experts after research concluded that Windows 8 is too ‘dangerous’ to use and pose an unacceptable security risk for companies and authorities. Issuing a warning to the government they called the so-called "Trusted Computing" framework in Windows 8 to be a backdoor for the NSA which can leak sensitive data. Many of you must have grabbed your Windows 8 Pro license at super-discounted price before Microsoft started validating upgrades. 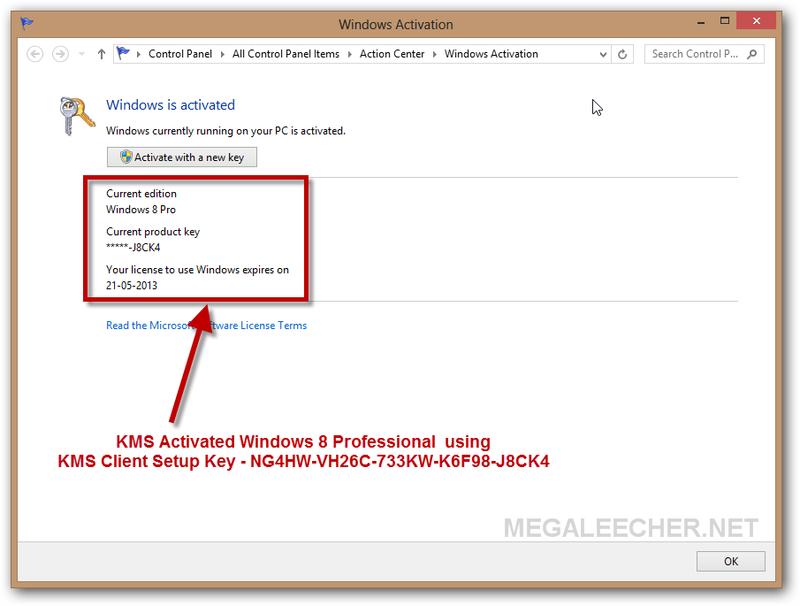 If you only purchased the activation key to benefit from promotional pricing, and don't want to migrate from your current OS and install Windows 8 now - it is an good option to have the Windows 8 Pro installation media prepared for later usage. In this tutorial we will see how to download and create Windows 8 Pro Retail installation on external media like bootable cd/dvd or other removable disk. Here is an opportunity, every Windows user should benefit from. Microsoft is offering existing Windows 7 users an chance to upgrade to Windows 8 Pro for just $14.99. 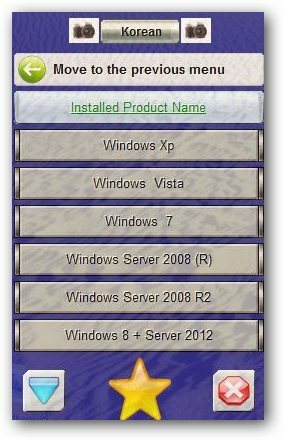 The catch is even users with pirated copies of Windows 7/XP are able to grab this promotional price and upgrade to Windows 8 at this super-cheap price of $14.99. 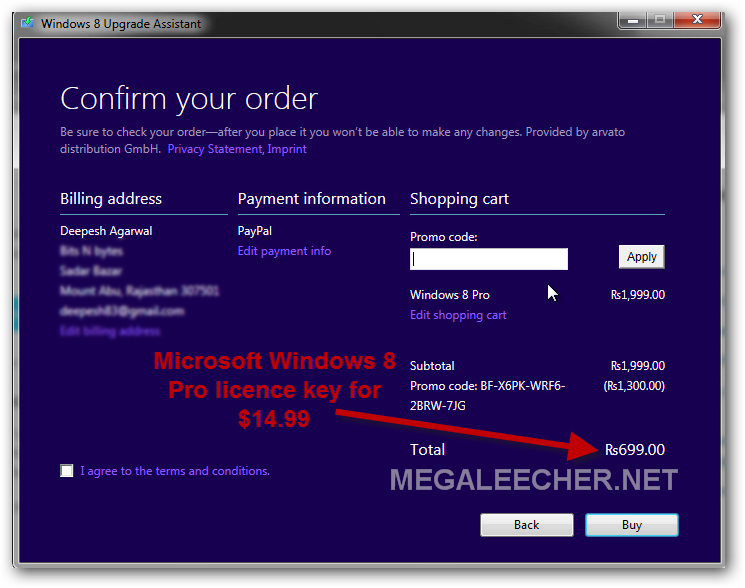 The WindowsUpgradeOffer registration website and the associated Windows 8 Upgrade Assistant utility is not doing any validation and anybody can use the PromoCode to get an genuine activation key for Windows 8 pro directly from Microsoft at this price. Now, you should not miss this opportunity because MRP of retail Windows 8 Pro version is $169.99 and under this promotion users can grab it for just $14.99 until Jan 31st 2013. Even if you don't have any plans for an immediate migration to Windows 8, users get to download the ISO and create Windows 8 bootable media for later usage. 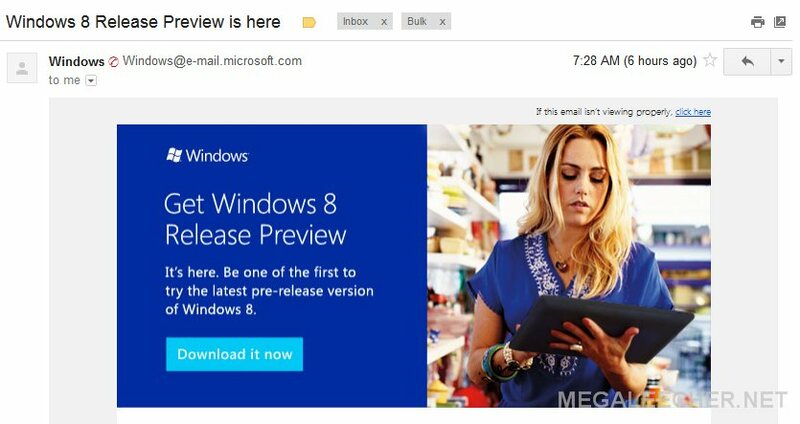 Almost three months after the "Windows 8 Consumer Preview" public download milestone, Microsoft Windows 8 Release Preview is now available officially for download. Windows 8 Release Preview is a pre-release testing version of Microsoft's upcoming major OS upgrade "Windows 8", the new OS is designed ground-up in terms of interface and focuses on people and apps providing them powerful new ways to use social technologies and to connect with people. Don't forget to checkout the official release introduction video below.